Originally from America, from the Peruvian Andes, it was later domesticated in Mexico. Its name comes from the Aztec “tomatl”. He arrived in Europe from Mexico through the Spanish navigators. The first species to arrive were yellow tomatoes. There has been news of its consumption in Europe since 1540, when it was used in salads. 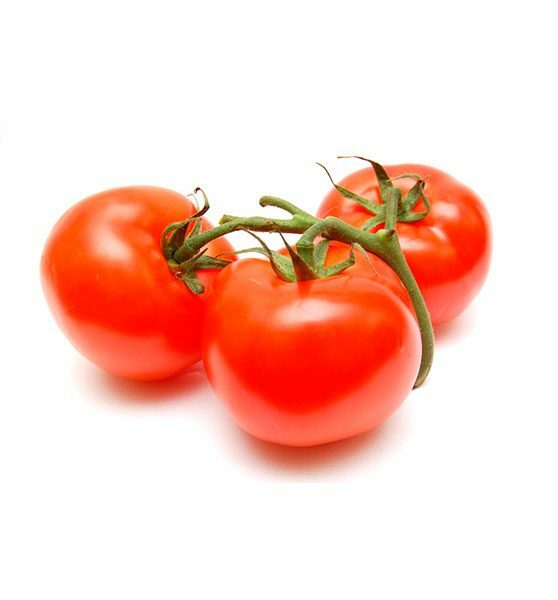 Medium size berry with rounded shape, inserted in a vine that is allowed to mature in the branch of the tomato. Thin living red skin very attractive. Good taste and texture, bittersweet, refreshing and aromatic. Varieties: The tomato on the vine is not strictly a variety but a way of presentation that retains its qualities better. Among the commercial varieties that can be presented on the vine: Yellow Tomato vine, Yellow Cherry Tomato vine, Plum Cherry Tomato vine, Cherry Tomato vine, Orange Tomato vine, Plum Vine Tomato. Seasonality: Modern techniques of cultivation and experimentation with mixture of varieties, have made it possible to have fresh tomatoes throughout the year, although it is from June to October that we find the best quality. The part that is consumed is the flower or inflorescence, much appreciated for its flavour. Made up of a set of ivory white flowers, fleshy and very tender. It is covered by large green leaves, not edible. 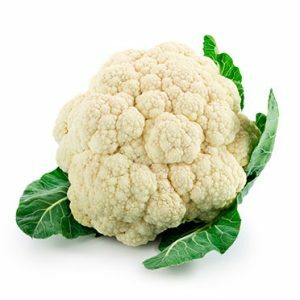 Varieties: We can find several varieties of cauliflower based on their colour: green cauliflower, purple cauliflower and orange cauliflower containing different nutrients from the popular white cauliflower. Seasonality: The best time for consumption is between the months of September to January, although they can also be found late to the months of May and June. Round shape with a similar appearance to the cherries, has a diameter between 1 and 3cm, its weight oscillates between 10 and 15gr., They are usually of several colours although the most common is the intense red colour and its flavour is less acid and sweeter than the traditional tomato. 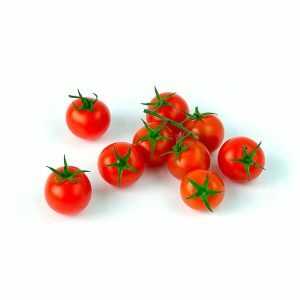 Varieties: Among the most commercial varieties of cherry tomatoes that can be presented: Yellow Cherry Tomato, Yellow Cherry Tomato on the vine, Cherry Tomato, Cherry Tomato Kumato, Cherry Mix Tomato, Plum Cherry Tomato Yellow, Plum Cherry Tomato, Tomato Cherry on the vine Kumato, Cherry on the vine Tomato Orange, Plum Cherry on the vine Tomato Red, Cherry Tomato on the vine, Cherry Tomato Tiger. Seasonality: Modern techniques of cultivation and experimentation with mixture of varieties, have made it possible to have fresh tomatoes throughout the year, although it is from June to October that we find the best quality. It has numerous fleshy floral heads of green colour, arranged in the form of a tree, on branches that are born of a thick edible stem. 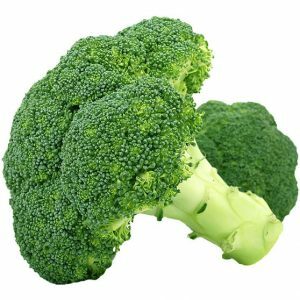 Varieties: The best known varieties of broccoli are Calabrese, the Romanesco, more similar to cauliflower and Verona. Seasonality: The ideal months to consume it are between September and June. It is a fruit in the form of berry of 5 to 30 cm in length, of spherical elongated shape, with a smooth and bright skin and colours that go from the purple to the white. 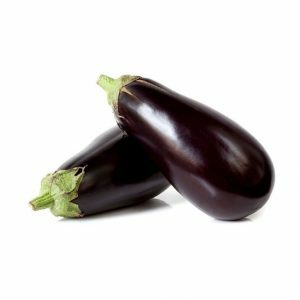 Varieties: Varieties of aubergine are classified according to the shape of the fruit. Thus they are the ones of long fruit (Long black, Long dwelling, Violet of Barbentane, Croisette), Round fruit (Violet of New York, Of Almagro) and Fruit Ovoideo (Jaspeada de Gandía, Mission Bell, Black beauty, etc.) Seasonality: The aubergine harvest is limited to the months between October and April, and can be extended from September to May.